A fun, family site with exceptional vegetation that values the simple things in life! Does that remind you of anything? Our campsite motto could also aptly describe the coastal footpath, also known as the “Sentier des Douaniers” (Customs Path). 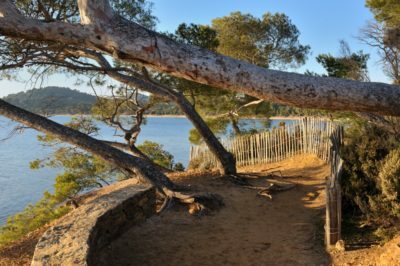 The path is aptly named, because during the French Revolution it allowed customs officers to gain easy access to the local coves to prevent smugglers landing on the coast. Today, many walkers keen to admire the region’s unspoiled nature unknowingly follow in the footsteps of these former customs officers. 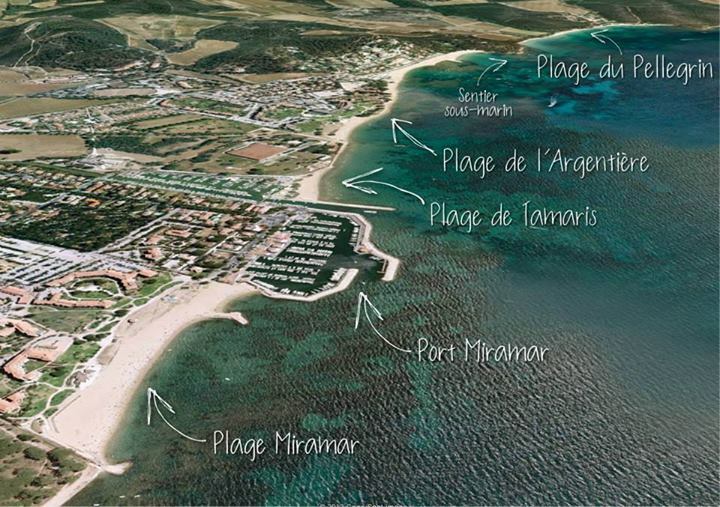 The Var coast is home to over 200 kilometres of footpaths! Everyone can find their corner of paradise and treat themselves to a moment of peace and tranquillity far from the Var’s coveted beaches. What’s more, it’s not unusual to find the perfect place to relax after just a few minutes’ walk. If it’s already taken, just walk a little further to find another. Confirmed walkers, sightseers and fisherman alike all appreciate the charms of this very special place. A footpath crossing the beaches and set facing Brégançon Fort and the Golden Islands. What could be better?! Near the campsite, you’ll find a 10-km stretch lined with vines, pines and palm trees. The site is protected and the local walking associations, town councils and many more people are all committed to preserving its wild beauty. In order to get the best views of the vegetation you will need to take some of the steeper paths. Simply check out the details before starting out – there’s something for everyone in terms of both difficulty and scenery! Wine lovers will enjoy discovering some of the Var region’s most beautiful vineyards, while sun and sea fans will be able to settle down in a picturesque cove and budding botanists will be able to study the Posidonia(1) meadows and Mica(2). 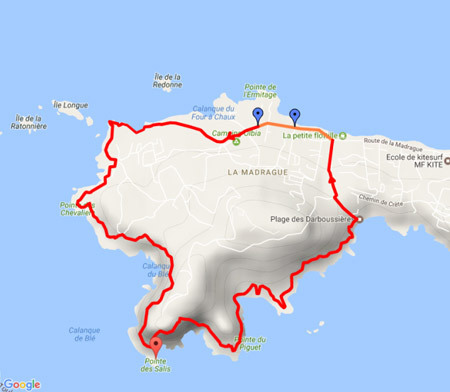 As you will have understood, the Coastal Footpath is one of our absolute must-dos as it allows you to discover nearly all the facets of the French Riviera in a single walk! 1-Posidonia is a type of sea grass that protects beaches during storms. It is a vital part of the ecosystem. 2- Mica is a mineral typical of the rock found in the Maures hills. It is commonly found in sand when it erodes.